Medical adhesives are medical grade ‘glues’ which are used to seal off varicose veins. Once glued closed, the problem vein will harden, heal and be absorbed into the body. Blood flow is rerouted to healthy veins in the legs. Vein Health’s Dr Peter Paraskevas demonstrates the medical glue treatment of varicose veins, on Channel 9 National News. VenaSeal is the most recent innovation in the minimally invasive treatment of Varicose Veins. 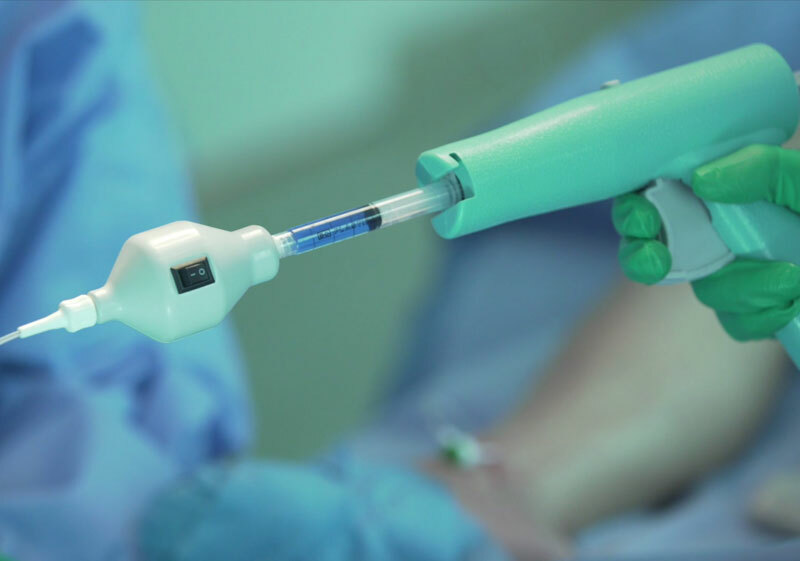 With VenaSeal, medical grade glue is placed within the diseased vein using a small catheter. 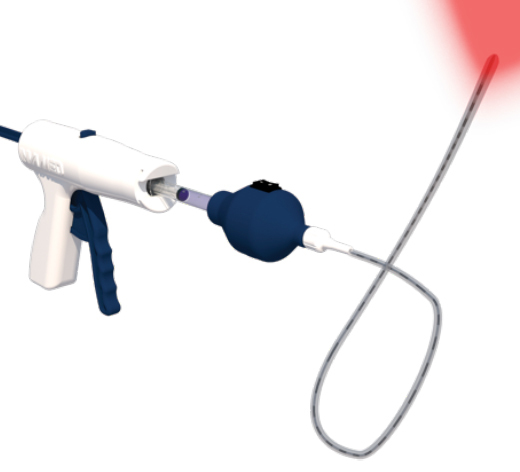 VenaSeal effectively glues the vein wall together within seconds. Over the coming hours, the treated vein will permanently harden over and eventually undergo absorption by the body over several months. The VenaSeal procedure takes between 15-20 minutes and is carried out under local anaesthetic. VenaBlock is used in treatment of varicose veins where a medical adhesive is injected into the problem vein in the leg under ultrasound guidance. The vein is sealed shut by this ‘glue’, causing it to harden, heal and be absorbed into the body. VeinOff is a treatment for varicose veins where a polymer is injected into problem varicose veins and pressure is applied from the outside. This causes an inflammatory reaction inside the wall of varicose veins and the vein is sealed shut. Blood flow is rerouted through other healthy veins in the leg.